Alternatively, you can help us by giving a regular gift via Direct Debit or by making a one-off donation online today. We are currently in the lucky position of having 3 new fosterers who have offered to have pens put up in their gardens; between them they are able to accomodate 7 pens! This will be a great help to the branch, as we struggle on a daily basis to find space in care for the many cats who need our help. 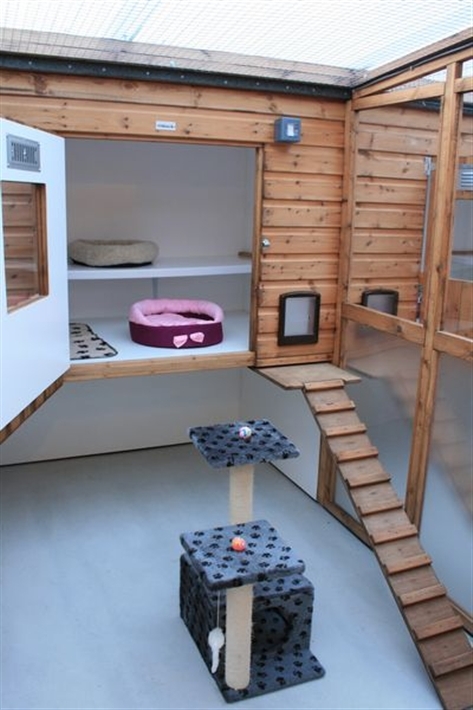 The pens are expensive and we need to raise funds in order to buy them.... so let us introduce our Cat Cabin Appeal.